It's estimated that one in five of the UK population has a tattoo, and that number is even higher amongst young people. Necks, hands and full sleeves are becoming more and more popular. But your face is the one place you can never hide. 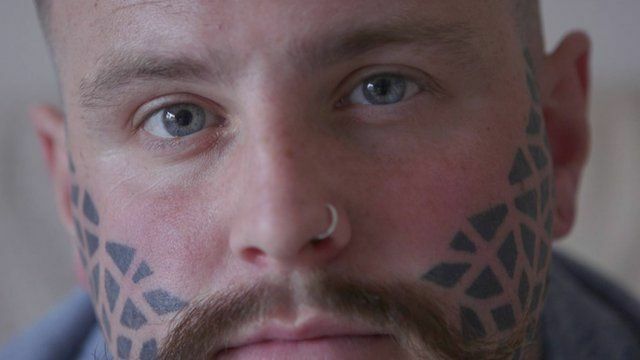 We've been to Dundee where there is a small but growing community of people who have face tattoos - and are proud of them. This is the story of Sean Green. This video was made by BBC Digital Current Affairs for Times Two, a new project from the BBC and ABC News. You can watch more videos on the Times Two Facebook page.